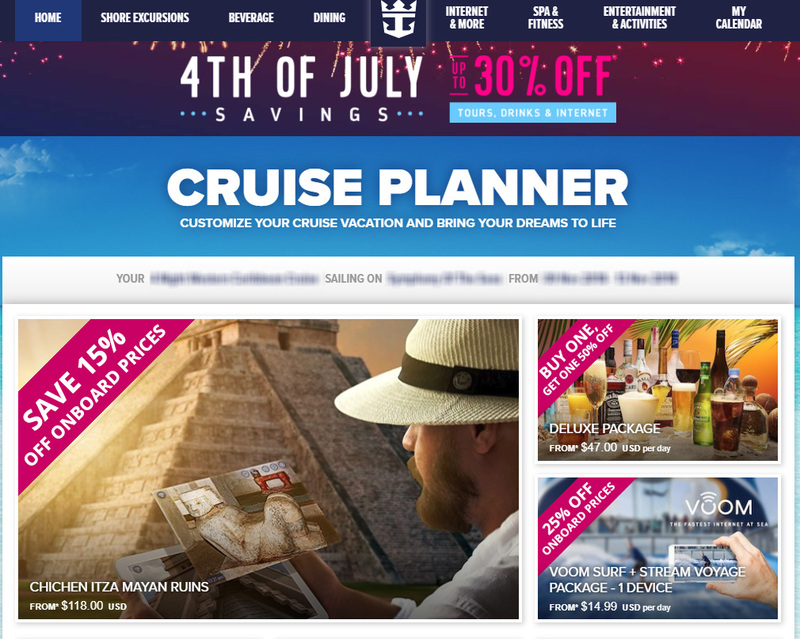 Royal Caribbean is offering up to 30% off certain Cruise Planner purchases during its 4th of July Savings sale. Offer applies to select sailings departing July 15, 2018 - January 15, 2019. Discount amount varies by amenity type. The weekend Cruise Planner sale promises savings on certain shore excursions and drink package purchases. Guests can check which discounts, if any, are available for their upcoming sailing by visiting the Cruise Planner site. Keep in mind that not all sailings may see the sale applicable, nor are all offers significantly cheaper than previously posted.